The phentermine headache could be caused by either the pill itself or the related lifestyle changes, but even mild phentermine headaches can have a major impact on your overall quality of life. That’s why we put together this guide of the potential causes of phentermine headache and what you can do about the problem. Please note, mild headaches are one of the most common phentermine side effects. If your headache could be considered severe or it doesn’t go away then you should consult a doctor. The pain could be a symptom of a more serious problem. While it’s true that not everyone who takes phentermine will experience headaches, it does remain one of the more common reactions to the medication. New users and users that take medication alongside phentermine will be more likely to develop headaches, along with other side effects. Headaches – and other side effects – are most common when first taking phentermine. This is due to your body taking time to adjust to the effects of phentermine. As is the case with every chemical substance, different people react differently to the active ingredients in phentermine. If you are particularly sensitive, headaches can occur as your body adjusts to the medication. Regardless, you should consider talking to your doctor if the headaches become more severe or last for more than a few days. They may wish to decrease your phentermine dose or change your schedule. 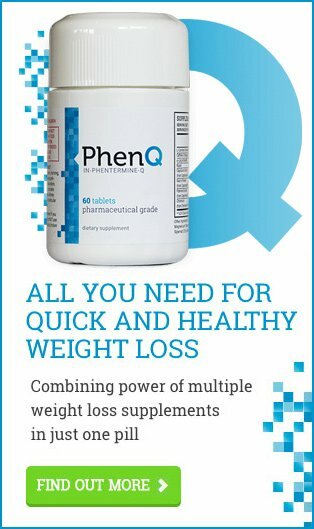 Making a change like this could reduce phentermine side effects and help you to better enjoy the benefits of taking phentermine. Phentermine is still effective on a smaller dose, so don’t worry too much that the phentermine won’t work properly. Even so, you should never adjust your dosage or schedule without having first consulted your doctor. Lifestyle changes could also affect your chances of developing headaches with phentermine. Due to how different substances interact with each other, those who smoke, drink alcohol, or drink coffee are more at risk of developing headaches. This increased risk of developing side effects is why doctors encourage phentermine users to give up these habits while using the medication. Alcohol and phentermine should never be mixed. The combination has been shown to produce problematic, if not potentially dangerous, results. Alcohol will react with phentermine and increase sleepiness, dizziness, and the stress on organs. It also contributes to an increase in blood pressure. Be sure to avoid drinking alcohol while taking phentermine. Nicotine and caffeine are stimulants by nature. It is advised that you avoid using any kind of stimulant while taking phentermine given that phentermine itself is a potent stimulant. Users that combine phentermine with other stimulants are at a greater risk of developing negative side effects, including headaches. There are several different reasons that phentermine headaches may occur. It can be difficult to identify the particular cause of your headache. Therefore it helps to know about the different potential causes. Below are some of the most common causes of phentermine headaches, both related to phentermine itself and to outside lifestyle factors. The main reason that phentermine causes headaches is the stimulating effects. Phentermine works as a sympathetic amine, meaning that it causes effects similar to the rush of adrenaline experienced during the “fight or flight” response. The primary effect of that response is vasoconstriction – the narrowing and tightening of blood vessels – in the digestive system, as well as vasodilation – the expansion of blood vessels – in the skeletal muscles, lungs, heart, and brain. The simulated stress response causes chemical changes that get your heart beating faster to flood muscles with the oxygen and nutrients they need. This leaves some phentermine users reporting increased blood pressure and increased heart rate as a result of taking the medication. The cardiovascular effects of taking phentermine are why it can be dangerous to use the drug if you have a history of high blood pressure and/or heart disease. These effects can also help to explain phentermine headaches. Much like having too much caffeine causes headaches, so too can having too much phentermine. When the cerebral arteries dilate – as per the flight or fight response – more blood flows to the brain. While brain tissue doesn’t feel any pain itself, an expansion of the blood vessels could cause the nerves to send a pain signal to your head and face. The signals could be the cause of your phentermine-induced headaches. If you are taking a high dose of phentermine and your headaches – or any other side effects – don’t go away, you should talk with your doctor. They may want to reduce your dose. You should never change your dose or schedule without consulting your doctor first. Dehydration is another common cause of phentermine headaches. Your doctor may have mentioned to you that you should drink a lot of water while taking phentermine. Getting water and staying hydrated is important for kidney health, controlling cravings, and keeping skin healthy. Being hydrated also helps to manage other common phentermine symptoms like dry mouth (xerostomia). While this isn’t caused by dehydration itself, not getting enough water certainly makes xerostomia worse. With the high fluid requirements that come with taking phentermine, it’s all too easy to become dehydrated. Whether you’re taking phentermine or not, there’s no denying that not getting enough water causes headaches. Dehydration makes tissue and blood vessels contract, and it causes electrolyte imbalances. These can trigger pain signals in the head. The trick to preventing – as well as treating – these headaches is to get enough fluids. Try to drink enough water to keep pee a light yellow color and keep tissues hydrated. If you can feel a headache coming on, drink a few glasses of water as soon as you can. If the headache is caused by dehydration, then drinking 2 or 3 glasses of water should provide some relief within 30 minutes to 3 hours. Keep in mind that alcoholic and caffeinated beverages serve to make you even more dehydrated, so choose something that is free from sugar and caffeine if you want to be hydrated. Skipping meals is another common cause of phentermine headaches, as is just not eating enough. Following restrictive diets can cause headaches as a result of low blood sugar, stress hormones, or a combination thereof. Our cells need glucose (blood sugar) for energy. Outside of bodily cells, neurons also consume a lot of glucose. Getting enough glucose is vital to ensuring your brain is working at full capacity. It therefore makes sense that a headache is one of the first signs of low blood sugar. Low blood sugar, also known as hypoglycaemia, can lead to headaches, nausea, confusion, and other symptoms. The risk of developing a glucose-related headache is increased for those with diabetes, those who fast, and those who consume a high-sugar diet. Your body will also release stress hormones during fasting, which can cause – or exacerbate – headaches for some people. You can minimize the risk of developing a hypoglycemic headache by eating every four to six hours while awake. If you have trouble regulating blood sugar, or just have diabetes itself, then you may want to try getting a meal or snack every 3 – 4 hours. When you find yourself too busy to have a proper meal, you should try to eat a healthy snack or a meal replacement you can have on the go. When it comes to calorie intake, women should aim to get around 1,200 and men should aim for 1,500 calories per day when taking phentermine to support proper biological function. Finally, not getting enough sleep can cause headaches (or migraines) for most people. Insomnia is one of the side effects of phentermine, making it a common cause for phentermine headaches too. Getting too much sleep, too little sleep, or fractured sleep can cause and exacerbate headaches. Sleeping troubles contribute to head pain as the brain uses sleep as a time to refuel and recharge. If you don’t give your brain the rest that it needs, it can cause headaches. The pain could present as a tension-type headache or as a migraine. You can prevent this by getting between 7 and 9 hours sleep each night. If you are being kept up by phentermine, then try taking your dose early in the morning. That way, the medication has plenty of time to pass through your system and wear off before you go to bed. We’ve looked at all the common causes of phentermine headaches but, no matter what is causing the headache, you are likely interested in how to stop it. Like many of the side effects of phentermine, phentermine headaches are likely to diminish or disappear when you adjust to the medication. Still, there are some things you can do to mitigate your headache in the meantime. The first thing you want to do is prevent headache triggers in the first place. Whether it’s skipping breakfast, having a coffee in the afternoon, or not getting enough water – try to identify the causes of your phentermine headaches and then avoid them in future. Preventing headaches is the easiest way to deal with them. If the headache isn’t too bad then you could treat it with an over-the-counter (OTC) painkiller such as Advil or Tylenol. Make sure that you take the pills with plenty of water and avoid taking more than the recommended dose. Lastly but most importantly, if the headaches absolutely won’t go away, or they become severe, then you should consult your doctor as soon as possible. A headache that’s on the level of the worst you’ve ever head could be a sign of a serious medical problem. You should get it checked out as soon as possible. Similarly, headaches that won’t go away or interfere with your daily life are something that a prescribing doctor should be told about. Last updated: February 5th, 2019. Bookmark the permalink.